This trailer for the upcoming Lee “Scratch” Perry documentary The Upsetter came out this weekend, but seeing as we’re such huge fans we figured better late than never. 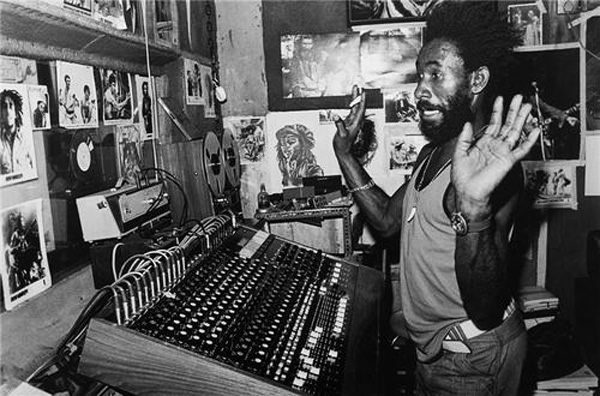 If you consider yourself an appreciator of music, then there is probably little need to introduce Scratch — considered by many to be the Grandfather of Dub (along with King Tubby, of course) and a visionary of reggae, discovering guys like Bob Marley and Max Romeo. People toss out words like “legend”, but Perry truly is one — it was an honor for us to travel to Jamaica to interview Lee “Scratch” Perry a couple years back, and it’s something we’ll never forget. He’s one of those guys who when you talk to, you think he’s completely insane (which he clearly is). And then you really start listening to his words and constant flow of complex metaphors, and you suddenly realize is brilliant on some next-level brainwaves. It’s like talking to a prophet. American film-makers Ethan Higbee and Adam Bhala Lough directed The Upsetter, which relives the life of Perry during an in-depth interview conducted at his home in Switzerland. The film is narrated by Benicio Del Toro, and has screenings happening throughout the US in March and April. Hit the site site for dates.